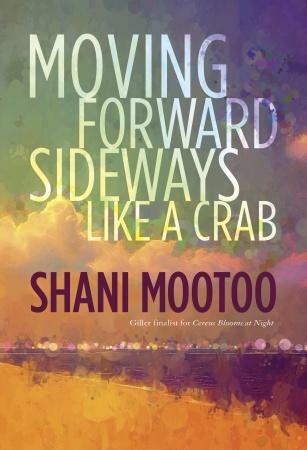 So begins my all-time favourite author Shani Mootoo’s latest offering, a lovely novel with a title I’m still not sure I like: Moving Forward Sideways Like a Crab. I mean, I obviously get the idea, and I think it’s particularly fitting for the trajectory this novel has, but it just sounds silly and awkward to me. Is this just me? Moving Forward employs multiple viewpoints to tell us the story of a parent and son, and the distances—literal and figurative—they have travelled on their own journeys and to reunite later in their lives. The person through whose voice we hear most of the story is Jonathan, who grew up in Toronto in the 80s with two moms; when the couple break up, his adoptive parent disappears dramatically from his life and he is left with his birth mom, a selfish aristocratic British-born woman absorbed by her work as a writer and unwilling to assuage his feelings of loss and abandonment. As an adult, Jonathan searches for his beloved parent, only to find the person he knew as Sid now goes by Sydney and is living in his native Trinidad. As the title suggests, the story does not move linearly, but rather goes back and forth in time and place (Toronto to rural Trinidad and back). Mootoo can’t help but write beautifully, and this story is slow, subtle, moving, and sometimes frustrating—purposefully so, I think. I found Sydney’s voice more compelling than Jonathan’s and found myself wondering why Mootoo chose to write the majority of the novel from Jonathan’s point of view. (In fact, I also found Sydney’s vivacious best friend Zain’s voice more appealing. I really wanted to hear more from her, actually!) Jonathan, of course, is dealing with old childhood wounds and so his perspective is often skewed by resentment and impatience. As a reader you follow him on that journey of mis/understanding, which is rewarding but maddening. Then, of course, there’s the fact that Jonathan is cis and we mostly have access to the trans character through him. Is this a problem? I don’t know. Although the fascinating story is definitely more about Sydney than Jonathan, it is told mostly by Jonathan and we can often only experience Sydney’s memories and feelings through his son. As a reader you also experience Jonathan’s transphobic reactions to meeting some of Sydney’s friends. One thing is clear as we move backward and forward in Sydney’s journey: his is a different kind of trans story, and does not follow the trajectory of traditional trans narratives. Sydney, in fact, quite clearly states “Looking back now, I realize that no one had ever asked me directly if I wanted to be a man, for I would have had to answer ‘no.’ I remember saying, however, I could not bear the body in which I—this ‘I’ quite separate from any body—existed.” Sydney later examines a long list of possible factors in his transition, concluding that perhaps none, or all, of them may have had an effect on his decision. What I thought was so wonderful about the portrayal of Sydney was the freedom given him to speak freely about gender and transition and not to worry about being the ‘right’ kind of trans person. Sydney is clear, too, that race plays no small part, and that element of the normative trans male story is moving toward not only masculinity and maleness, but also whiteness. For an Indo-Trinidadian, then, this paradigm will never fit. From reading reviews on goodreads, it seems like many cis readers are confused because Sydney doesn’t conform to the “man trapped in a woman’s body” narrative, which is so frustrating because Mootoo’s portrayal is trying to allow her trans character the autonomy to precisely not do that. In addition to a call to fredom of expression for different kinds of trans narratives, Moving Forward is also a beautiful call for the needs of queer and trans people of colour to connect with each other and have their own communities. Sydney’s isolation in Toronto, after having moved there in search of tolerance as a gender and sexual minority, is a direct result of the different kinds of prejudice and hatred he finds there. His long-term partner, Jonathan’s birth mother India, is none other than the embodiment of casual racism and Canada’s double standard when it comes to immigrants; although claiming immigrant status as someone born in the U.K., India will never understand and experience Canada the way that Sydney does. She insists, in fact, that Sydney is “too sensitive,” when, for example, critics for Sydney’s paintings cite their “folksy quality,” unable to see any value except for exoticism. India is an awful person, no doubt about it. India is, in fact, the only character who remains simple instead of complex. My issue? She’s also the only bisexual person. Is it a problem that India is the bisexual villain? Or it that to be blamed on her class background and her whiteness? Mootoo has written thoughtfully about non-monosexual characters before (in both Valmiki’s Daughter and Cereus Blooms at Night) so I’m willing to give the benefit of the doubt here, but it does make me a bit uncomfortable. I wish there were another bisexual character (especially one of colour) to contrast. I wondered how it was that night turns over, as it does, without sentiment, that time cannot be stopped or slowed, and that seconds pass and suddenly it is minutes that have passed, and then hours, and soon it will be days and the weeks that have passed. Morning will come, I thought, because that is what it does. I feel as if there is a big sky in my heart, and in the sky in my heart, even though it is daytime, there is a meteorite shower, and the shower is shaped like a bouquet of flowers, and it’s exploding in every colour that exists in the world. in such a beautiful, effortless way. 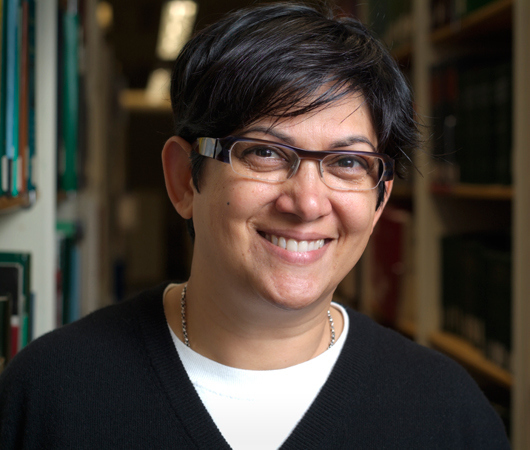 This entry was posted in Bisexual, Canadian, Caribbean, Fiction, Postcolonial, Queer, Rural, Shani Mootoo, South Asian, Toronto, Trans, Trans Masculine, Transgender and tagged Giller Prize. Bookmark the permalink.